I should explain this costume a little bit. 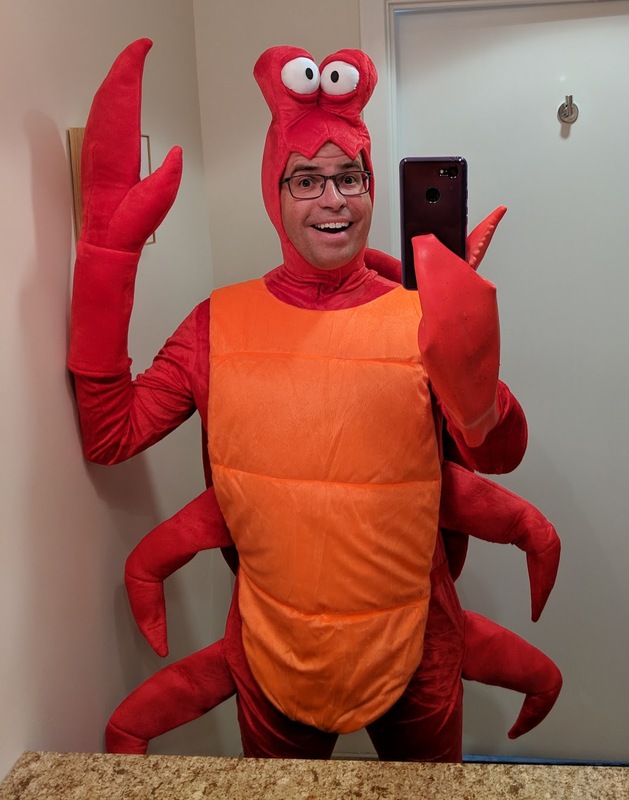 At the US Digital Service, we do a thing called “crab claws.” Crab claws is like visual applause–you pinch your fingers up and down to say “great job” or “congratulations” or “way to go.” We do it because actual applause would be annoying when there’s someone on the phone. The love for crabs goes deep at USDS. So when I thought about what I wanted to be for Halloween, the answer was pretty simple. 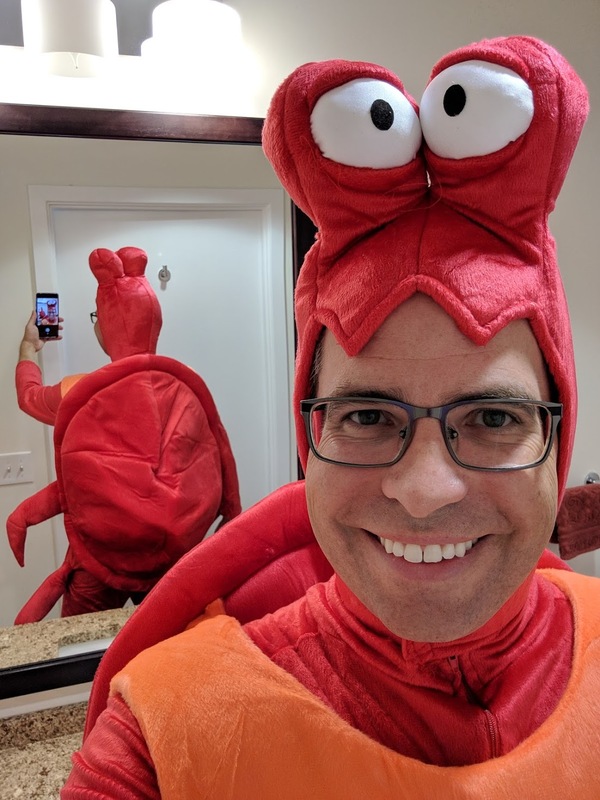 Lobster, crab–I wanted to share the crustacean love. One thing I love about the costume is that the shell has a hidden compartment. You could use the shell as a backpack for candy or goodies.